RATINGS AGENCY Moody’s has downgraded Portugal’s long-term debt rating from Baa1 to Ba2, which is junk status. 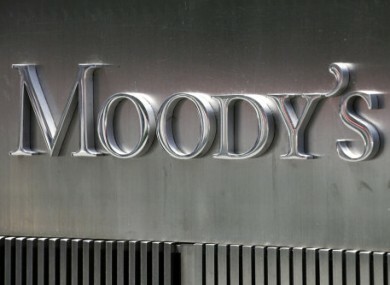 According to a statement from Moody’s published by the Wall Street Journal, the agency said that one of the main factors behind the downgrade was the “growing risk” Portugal will require another bailout before it can return to the markets. It also cited fears that Portugal will not meet its “deficit reduction and debt stabilisation targets” as agreed with the EU and IMF. Moody’s also downgraded Portugal’s short-term debt rating and said the outlook for the country’s long-term rating is “negative”. Business Insider reports that the euro dipped on news of the downgrade, despite Portugal’s debt already trading at an all-time high. Email “Moody's downgrades Portugal to junk”. Feedback on “Moody's downgrades Portugal to junk”.